The Best of Teacher Entrepreneurs III: Problem Solving with a Baseball theme! 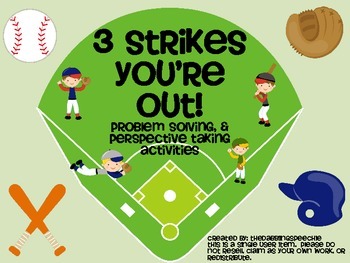 Work on problem solving and perspective taking with your students during baseball season! These activities work on the social situations that you may encounter during a baseball game. It includes stimulus items and a game to make the activity more reinforcing.